More than just for improving your vision, glasses are a stylistic statement. At the top eyewear stores of West Virginia, you can customize as you please due to their impressive selections. From uniquely modern designs to more classic looks, here are the 10 best eyewear stores in West Virginia. The eyes have it at Optical 101. You’ll find a great selection of eye-catching glasses in popular colors and styles at this downtown optical center. The staff is friendly and helpful when it comes to finding the perfect pair of reading glasses, sun glasses, or contacts. You can trust the doctors here to give a thorough eye exam to make sure your vision is the best it can be. At Tudor Optical in Beckley, you’re not just another pair of eyes. You’ll get fast friendly service and a no-nonsense exam that’s done by a professional technician. They can make sure you have the right prescription for glasses or contacts and can help you keep your eyesight 20/20. They have a huge selection of frames and prices are very reasonable. You’ll find spectacular savings and selection at the Optical Hut in Elkins. 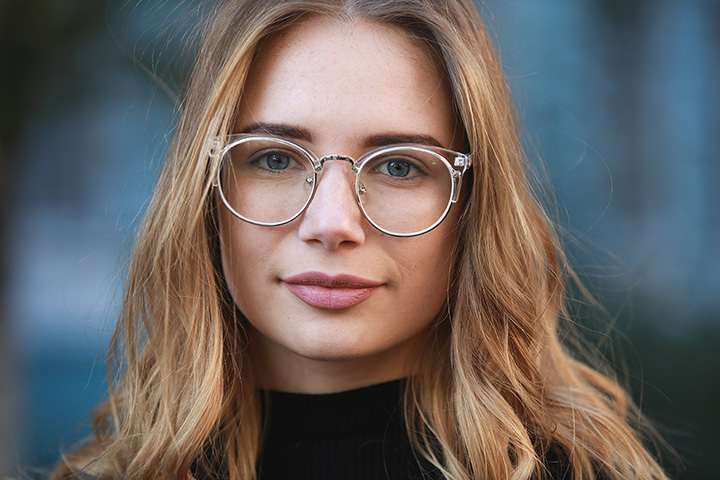 They’ll help you’re have clear vision and the look you want with brands like Versace, Marc Jacobs, Prada, Polaroid, and more. You’ll get a free lifetime frame service and a full-line of contacts and supplies. Kids can choose from many styles and colors. Ramsey Eyecare is a full-service family-oriented eyecare store in Charleston. You can trust your vision to the professional people who can handle every day appointments, special eyecare needs, and after hour emergencies. You’ll learn about good vision health and options for those who have difficulty seeing properly. They specialize in treating computer eye strain and children’s vision. Looking for a great place for your family’s vision care? Advanced EyeCare Center in South Charleston offers the best in the area. Assessments are quick and easy and they can recommend additional testing and treatment options if you’re having trouble seeing, or let you choose from a large selection of name brands for glasses, sunglasses, and contacts. Don’t be in the dark about your vision needs. Check out Inman Family Eye Care in Parkersburg. You’ll get a top-notch staff of professionals who work to make your visit quick and easy. The focus is all about you and treating your eyes. Using state-of-the art equipment, they can treat you for irritated eyes, diagnose issues like macular degeneration, and identify many health-related conditions that impact your eye sight. With a mission to provided “modern care with old-fashioned caring.” Appalachian Eye Care combines the best of the old and the new. You won’t feel like just another number here. Everyone is given individual and personal attention whether you’re there for your annual checkup, need a new pair of glasses, or a follow up visit after eye surgery. They specialize in working with kids to make their experience comfortable and anxiety-free. Good people. Good service. Good prices. That’s what you’ll find at WV Eye Consultants in Charleston. Fast friendly service is what you’ll always get, and you can trust that the doctors here are skilled at diagnosing and treating many eye diseases and work with you to help you have the best vision possible. There are several locations around the state including Beckley, Belle, and Saint Albans. You’ll be blown away by this little vision center located in Hurricane. All your questions will be answered by the knowledgeable staff and doctors, and they work well with children to reduce the anxiety a trip to the eye doctor can have. From the time you check in, you’ll feel like family. Providing the best eye care for your family, Ferrell Eye Clinic in Lewisburg gives comprehensive eye exams, and make things crystal clear about the best in your eye care. Committed to giving you great service at reasonable prices, they accept most insurance plans and will work to accommodate your scheduling needs.